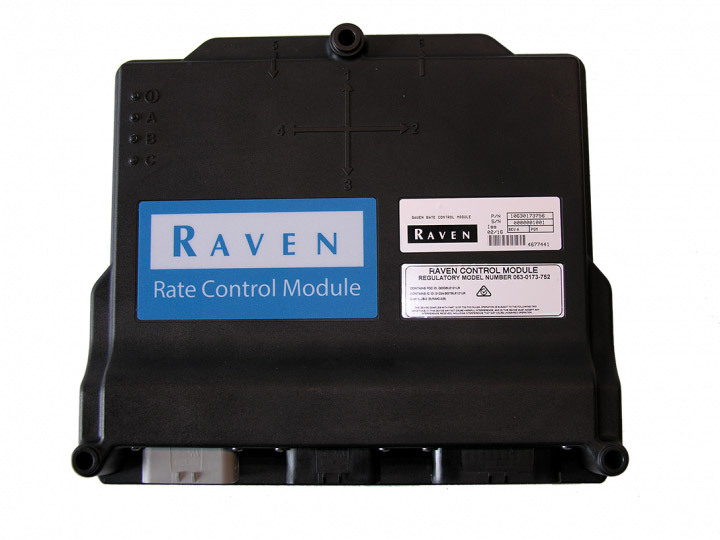 The Rate Control Module (RCM) uses Raven's innovative control algorithms to make it the most precise application controller on the market today. It fits a variety of applications - up to five product liquid and granular control, NH3 (including AccuFlow HP+), air cart and generic applicators. Sixteen-section control eliminates expensive skips and overlaps for all phases of your operation, from spraying to NH3, and fertilizer application to planting. The RCM is incredibly user friendly - simplified the setup, introduced integrated help content, and added advanced diagnostic information to quickly identify issues and reduce costly downtime. Customizable user interfaces give the operator the flexibility to see and control what fits their needs, and configurable machine profiles allow the RCM to easily move between machines and implements without re-setting machine configurations. The RCM is compatible with many ISOBUS virtual terminals on the market, including the Viper 4 and Viper 4+ from Raven.